At the moment, I am in the middle of reading a fascinating book entitled Flat Earth: The History of an Infamous Idea. I purchased the book in order to read what it says about flat-earth belief in the ancient world. As it turns out, only the first chapter discusses that topic, albeit with much fascinating information about all the different ancient cultures which subscribed to such a belief. The next few chapters turn to a later period - a much, much later period. Much to my surprise, I discovered that as late as the nineteenth century, when science had certainly dismissed the notion of a flat earth with ample evidence, and people had even sailed around the world, the belief in a flat earth was still being publicly presented and disputed. There were a number of interesting people who made it their life's work to argue for the truth of a flat earth - and were considerably successful at it. Reading the account of these events gave me an overwhelming sense of deja vu, due to the overwhelming parallels with the young-earth anti-evolutionists that I have run into on occasion (such as Dr. Isaac Betech). Consider this: the strategy of the flat-earthers was to engage in public lectures and seek public debates with scientists. And they were very, very successful at it! While professional scientists knew that the flat-earth position was utterly fallacious, even educated people were impressed at the ingenious arguments and rhetoric of the flat-earthers, and thought that they had proved their case. 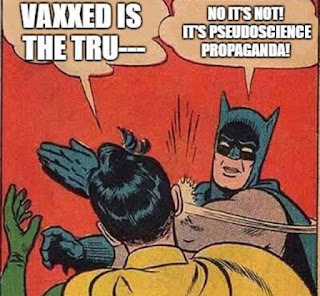 There is no better illustration of how public debates in front of non-specialists is certainly not the way to determine scientific truth! When an experiment was finally performed, with both sides present, the flat-earthers claimed that it vindicated them! The experiment was to see how much of a light-house fourteen miles away would be visible through a telescope. The scientists predicted that only the lantern would be visible, due to the curvature of the earth. But on the day of measurement, unusual weather conditions caused refractive effects which exaggerated the effects of the earth's curvature and made even less of the top of the lighthouse visible. Whereupon the flat-earthers declared that the result, which caught the scientists by surprise, demonstrated that the whole system of the scientists was incorrect! It is exactly like how young-earth anti-evolutionists point to various unresolved difficulties in science as "proof" that that the entire enterprise is mistaken. Another strategy of the flat-earthers was to quote-mine scientists out of context, to claim scientific support for their conclusions - exactly as young-earth anti-evolutionists are fond of doing. This was one topic that I once debated them on, showing how they were distorting the views of those that they quoted, but eventually my opponent pulled out. Especially interesting was how the flat-earthers would claim that "there is no scientific proof whatsoever" for a spherical earth, and would offer large sums of money as wagers on that fact. One scientist, Alfred Wallace, took up the flat-earther John Hampden on such a wager. It was only because there was a referee that the results of the experiment were decided in favor of Wallace; Hampden insisted that the results had proven the earth to be flat! It is exactly like how the young-earth anti-evolutionists insist that there is no scientific evidence whatsoever for evolution, and demand irrefutable proof--whereas, of course, anyone sufficiently determined to reject a proof can convince himself that he has refuted it. Also of interest was that Wallace regretted his involvement in this debate. In general, scientists generally preferred not to engage the flat-earthers in debate, since they knew that in public debates it is oratory skills and ingenuity of technique that wins over spectators who are not themselves expert in science. Of course, the flat-earthers pointed to this as showing that the scientists knew themselves not to have any evidence that the world is spherical! Unsurprisingly, the flat-earthers were not motivated by their scientific research; they never submitted any papers to scientific journals for publication. Rather, they were fundamentalist Christians, motivated by religious beliefs. But they successfully convinced themselves as well as other people that it was on scientific grounds, too, that the spherical-earth model was mistaken. There's much to learn from history. How can you claim so arrogantly that there is such clear evidence for a spherical Earth? Nowhere in your post was there one piece of solid evidence. You seem to rely on the very rhetoric which you claim is the main weapon of your opponents! If you really want to promote a rationalist approach then please start by supporting your claims with evidence. Huh? Are you challenging the fact that the earth is spherical? Well, if you must have evidence, how about the photograph of the spherical earth taken from lunar orbit by the Apollo X crew? Actully, I guess that you coulod argue that the photo is doctored or made up and that's the problem with arguing with guys like you. You produce no evidence or proof while labling all the evidence and proofs of science false. You know what, It doesn't matter if you believe that the earth is flat or that it's less than 6000 year old. Neither of those beliefs has any effect on your day to day life. Unless, of course, you make a telephone call or whach the weather report or put gasoline in your car or, well, you get the idea. But there is a serious point here. Even today, it would indeed be impossible for me or anyone else to provide "irrefutable proof" that the world is spherical. I read the book a few years ago and had a similiar reaction. Not really, just view a total lunar eclipse (next one will be Dec 20/21 2010, though not visible from Israel) The shadow of the earth on the moon is clearly circular. The only shape the earth could be and cast that shadow is a sphere. You could also note that as you move from north to south the stars you see change. For example the star Canopus is not visible from Israel but if we were to go to Kenya or South Africa it would be, while the stars in the north would dip bellow the horizon. Zach, these arguments were available in the 19th century too, and yet the flat-earthers were still not convinced and were still able to "win" public debates. "You see, with Wallace they're faced with a real problem, because with Wallace they're faced in one individual someone who is non-Christian, non-creationist, a thorough evolutionist, who not only independently discovered natural selection but came to a view of nature imbued with intelligent design. So an unamended Wallace would really force the Darwinists to admit 3 important things. First, it's absolutely possible to believe in evolution without subscribing to Darwinism. ... Second, ID is not nor was it from the beginning creationist. And third, ID was derived from scientific observations more than a hundred years ago, drawn from Alfred Russel Wallace." With the right wordsmithery, you can make a convincing case that black is white and up is down. So true that little history really helps to lend perspective, and to keep ourselves from wasting precious time having a non-debate with "gilgulim" of pseudoscientists past! "There were a number of interesting people who made it their life's work to argue for the truth of a flat earth - and were considerably successful at it. Reading the account of these events gave me an overwhelming sense of deja vu, due to the overwhelming parallels with the young-earth anti-evolutionists that I have run into on occasion (such as Dr. Isaac Betech)." Isaac Betech's only "success" is in his own mind until he presents proof of his (unpublished) so-called accomplishments. This brings to mind a charedi yeshiva class trip to the natural history museum, where the teacher tells the students: "See those dinosaur bones (wired together to form the animal)?, well the creature never existed 300 million years ago. Even more frightening are the recent history deniers of our generation who look at Auschwitz, and say "See those buildings? well millions of Jews were never killed there". Yes, there is much to be learned from history AND how to study and learn from it. In your opinion, is this book a worthwhile purchase (as some history-of-science pleasure reading rather than out of specific interest in this issue)? A rav I know said that one day a yeshiva bochur ran into his office and proudly said that he found on the internet "proof" that the Moon landings never took place. This proving that the Moon landings were supposedly a hoax is supposed to validate the anti-science, anti-evolution and anti-old-earth claims of the hard-liners. It was pointed out to him that many of the Moon-landing hoaxers are also Holocaust-deniers. This is why it is really frightening when religious Jews who claim to revere the Torah (Torat-emet!) are happy to knowingly spread anti-science falsehoods. That's why the work Rav Slifkin is doing is so important. In the comments of an earlier post I had requested a source for the position you state in your monograph that the Babylonians held that the sun travels above the firmament at night. You suggested this book which I then took out from the Library. I read thru the first part which discusses the ancient beliefs. I also skimmed thru the rest of the book and did not find this position stated. I did find the author stating that Cosmas I. whom you quote several times is an obscure and marginal figure. I do not doubt that such sources exist but I believe that since this position is the cornerstone of your thesis it should be adequately sourced. Here's a quote from an article on Space.com , I'm sure that some 'Traditionalists" will insist proves that Chazal's flat earthers were aware of Einstien's theories, and recent cosmological discoveries millenia ago! The Earth was shown to be round during the days of the Ancient Greek Eratosthenes. So were accurate measurements of its diameter and the distance from the Earth to the Sun. The first manned satellite kind of put the argument to bed. I just discovered this blog, and Rabbi Slifkin (as I am not part of the anglosax haredi community, I had no clue something like that was happening), it is great. I learn in a haredi kollel in Jerusalem, and I stay away from those questions while there, I am there to learn gemarah, not debate genesis vs science stuff. I stay away from all controversial issues, it is not my war. But I consider myself a student of human stupidity, I must get this book. It shows that also the great names who more or less created modern science were knee deep in silly ideas. They were one foot in science, one in black magic and alchemy. Newton died from lead poisoning when he tried to create gold. Kepler nearly abandoned his idea of elliptical path of the planets because it didn't fit then accepted Pythagorean idea of circle as a perfect shape... They were just as lost as most of the people, they just happened to come up with few revolutionary and great ideas. They were not perfect. With any intellectual enterprise we need to be able to differentiate between ikar and psolet. Even geniuses, who ever they are, sometimes produce psolet. Even Moshe Rabeinu made mistakes in his life, but he transmitted to us Luchot, Torah and Mitzvot. Newton gave us theory of gravity, and basic laws of motion, but also believed in transmutation of metal. There is no human who did not do shtuyot in his life, but we need to lelamed zechut on those who are essentially good, remember them for things that were good in their lives, but it is useful to know that nobody is perfect. See the October 29, 2010 post. >In the comments of an earlier post I had requested a source for the position you state in your monograph that the Babylonians held that the sun travels above the firmament at night. I didn't say that the Babylonians held that it travels above the firmament at night. I don't know what they held. My point was with regard to the earth being flat and hte universe being a dome. See Mesopotamian Cosmic Geography by Wayne Horowitz. Thank you, Shaul Rosenzweig, for the reference. It is available on-line: Burtt, Edwin Arthur: The Metaphysical Foundations of Modern Physical Science: A Historical and Critical Essay. Shaul Rosenzweig, it is certainly true that no one is perfect or infallible, and Newton had more than a normal share of personal faults. His intellectual life was, however, outstanding and praiseworthy. He was a monotheist in the Rambam's understanding of the term. As a matter of principle, he refused throughout his life to take the Christian oaths normally required to gain the prominent positions that he held. He had also taught himself Hebrew and Aramaic in order to read the basic Jewish texts in the original. It is claimed by those who have read his mostly unpublished writings that he must have devoted more time to such research than to his mathematical and scientific endeavors. His scientific and mathematical career involved important innovations in all fields of mathematics - particularly the invention of differential and integral calculus. He placed the experimental findings of both Galileo and Kepler on a sound, consistent theoretical basis with his delineation of the theory of universal gravitation, and is regarded as the founder of the science of mechanics. He made important innovations to the understanding of color and optics, and produced the first reflecting telescope. His work in alchemy should not be treated as silly given the lack of understanding of chemical principles at the time. I should add that R' Chaim Vital also dabbled in alchemy. Nor did he die of lead poisoning. While a post mortem analysis apparently showed the presence of relatively large concentrations of mercury, he died at age 84 - a ripe old age for the times. "(Newton) was a monotheist in the Rambam's understanding of the term." Phil, I agree with your understanding and have seen it so stated by the eminent economist, John Maynard Keynes, who had bought part of the auctioned collection of Newton's unpublished papers - another large part of the collection is at Hebrew University. Keynes gave a long address at Cambridge university on the occasion of the tricentenial of Newton's birth, wherein he spoke about the aspects of Newton's life and thought that were first revealed upon reading the unpublished material. That address text is available on the internet.